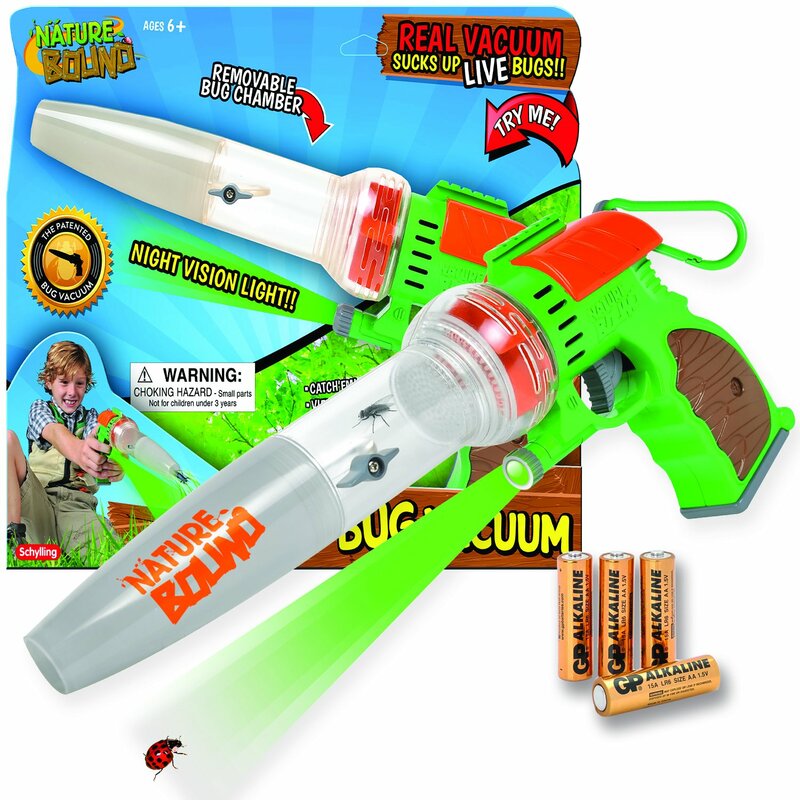 Bug Catcher Promotes Scientific Learning: An integrated LED light, carabineer, and battery operated vacuum mechanism make bug-catching fun! Kids age 5 to 12 can observe, keep notes, and make sketches. Teach Eco-Friendly Play: Kids can inspect their favorite bugs without killing them! 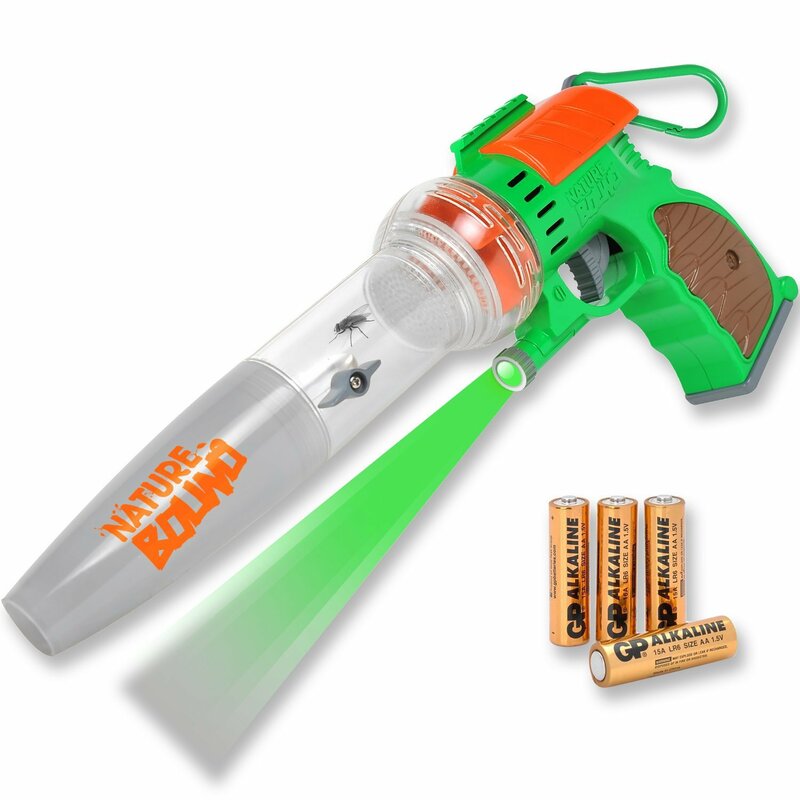 This patented, bug-safe vacuum sends each bug gently into the core viewing chamber for easy catch and release. 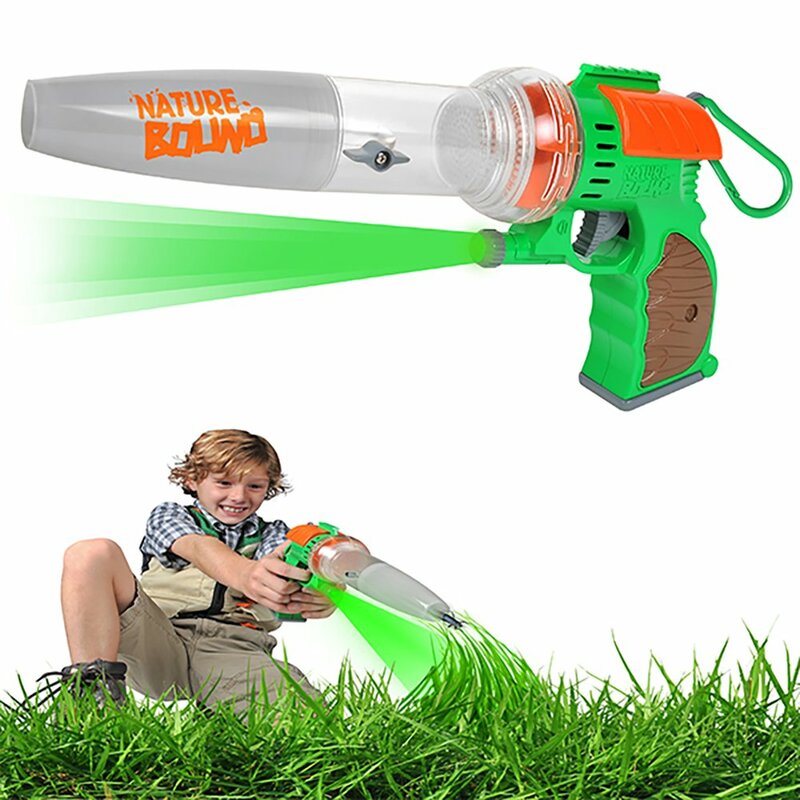 Use Anywhere, Any Time: The bug toy transitions seamlessly from indoor to outdoors and day to night with integrated light and 1-inch suction head for all types of household and backyard bugs. 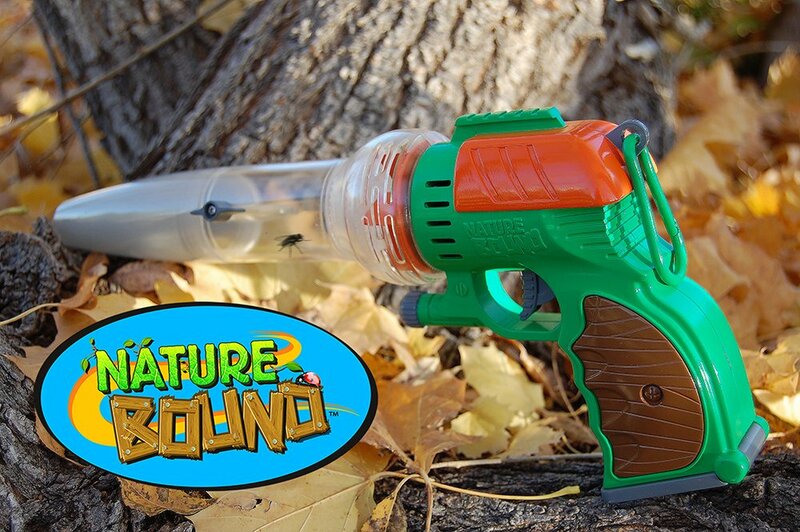 Safe, Hygienic Capture: With the chambered capture gun, your kids will not have to touch bugs while observing. 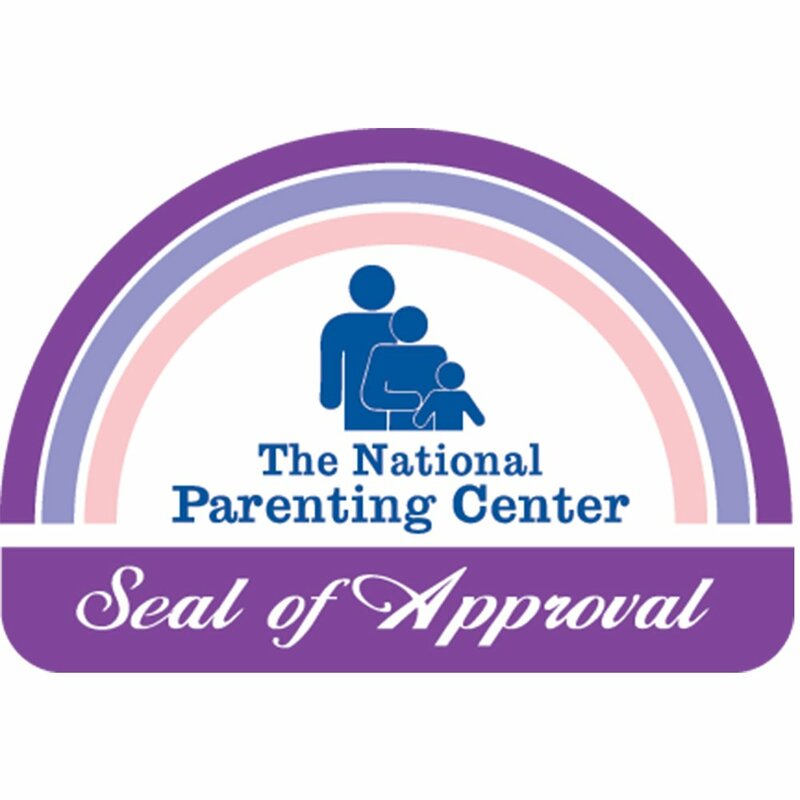 Triggered suction and clear 360-degree sides keep your child engaged without handling bugs. 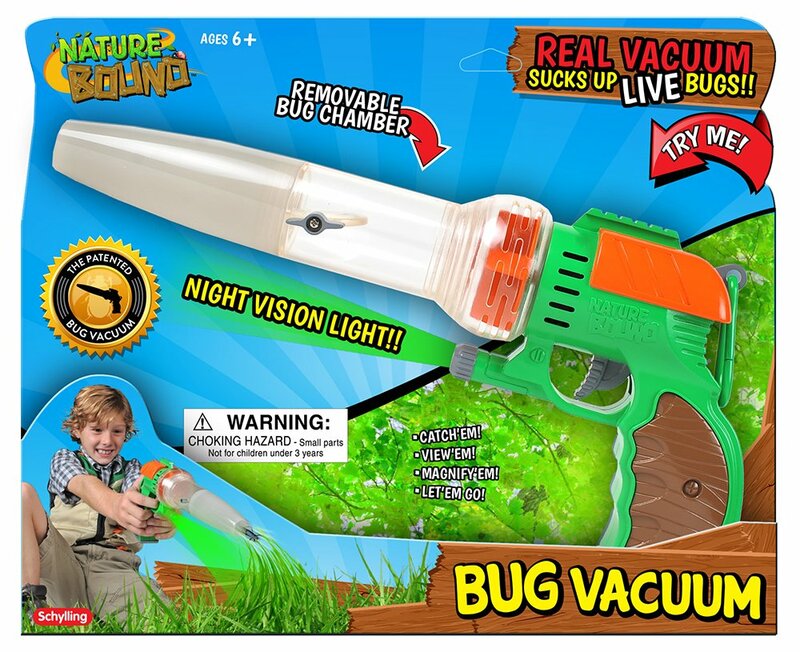 30-Day Money Back Guarantee: If you are not 100% satisfied with your bug vacuum toy, return it at any time within the first 30 days for your money back. Batteries included.